Match ends, Paris Saint Germain 3, Angers 1. Second Half ends, Paris Saint Germain 3, Angers 1. Attempt saved. Flavien Tait (Angers) right footed shot from outside the box is saved in the bottom left corner. Assisted by Farid El Melali. Corner, Paris Saint Germain. Conceded by Mateo Pavlovic. Offside, Paris Saint Germain. Christopher Nkunku tries a through ball, but Thomas Meunier is caught offside. Attempt saved. Kylian Mbappé (Paris Saint Germain) left footed shot from a difficult angle on the left is saved in the centre of the goal. Assisted by Julian Draxler. Corner, Paris Saint Germain. Conceded by Ludovic Butelle. Substitution, Angers. Rayan Ait Nouri replaces Pierrick Capelle. Vincent Manceau (Angers) wins a free kick on the right wing. Substitution, Angers. Farid El Melali replaces Jeff Reine-Adélaïde. Offside, Paris Saint Germain. Stanley N'Soki tries a through ball, but Kylian Mbappé is caught offside. Attempt missed. Ángel Di María (Paris Saint Germain) left footed shot from the left side of the box is just a bit too high. Assisted by Neymar. Substitution, Paris Saint Germain. Christopher Nkunku replaces Edinson Cavani. Attempt blocked. Adrien Rabiot (Paris Saint Germain) left footed shot from the left side of the box is blocked. Assisted by Ángel Di María. Attempt saved. Wilfried Kanga (Angers) right footed shot from outside the box is saved in the top right corner. Assisted by Cheikh N'Doye. Attempt missed. Edinson Cavani (Paris Saint Germain) right footed shot from the left side of the box is high and wide to the right. Assisted by Ángel Di María. Goal! Paris Saint Germain 3, Angers 1. Neymar (Paris Saint Germain) left footed shot from the centre of the box to the bottom left corner. Assisted by Kylian Mbappé. Attempt missed. Kylian Mbappé (Paris Saint Germain) right footed shot from the right side of the box is close, but misses to the right. Assisted by Thomas Meunier. Jeff Reine-Adélaïde (Angers) wins a free kick in the attacking half. Attempt missed. Ángel Di María (Paris Saint Germain) left footed shot from outside the box misses to the right. Assisted by Kylian Mbappé. Offside, Paris Saint Germain. Stanley N'Soki tries a through ball, but Ángel Di María is caught offside. Substitution, Angers. Wilfried Kanga replaces Angelo Fulgini. Offside, Paris Saint Germain. Neymar tries a through ball, but Stanley N'Soki is caught offside. Goal! Paris Saint Germain 2, Angers 1. Kylian Mbappé (Paris Saint Germain) right footed shot from the centre of the box to the bottom left corner. Assisted by Ángel Di María with a cross. Offside, Paris Saint Germain. Stanley N'Soki tries a through ball, but Edinson Cavani is caught offside. Substitution, Paris Saint Germain. Stanley N'Soki replaces Thilo Kehrer. First Half ends, Paris Saint Germain 1, Angers 1. Attempt missed. Angelo Fulgini (Angers) header from the centre of the box misses to the right. Assisted by Pierrick Capelle with a cross. Corner, Angers. Conceded by Thiago Silva. Corner, Paris Saint Germain. Conceded by Angelo Fulgini. Corner, Paris Saint Germain. Conceded by Cheikh N'Doye. Attempt blocked. Marquinhos (Paris Saint Germain) right footed shot from outside the box is blocked. Cheikh N'Doye (Angers) wins a free kick on the left wing. Corner, Paris Saint Germain. Conceded by Flavien Tait. Attempt blocked. Vincent Manceau (Angers) right footed shot from outside the box is blocked. Cheikh N'Doye (Angers) wins a free kick in the attacking half. Attempt saved. Kylian Mbappé (Paris Saint Germain) left footed shot from the left side of the box is saved in the bottom left corner. Attempt saved. Jeff Reine-Adélaïde (Angers) left footed shot from the centre of the box is saved in the centre of the goal. Assisted by Thomas Mangani. Attempt saved. 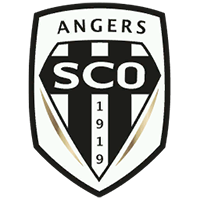 Flavien Tait (Angers) right footed shot from more than 35 yards is saved in the bottom left corner. Assisted by Thomas Mangani. Attempt blocked. Neymar (Paris Saint Germain) header from the centre of the box is blocked. Assisted by Edinson Cavani with a cross. Goal! Paris Saint Germain 1, Angers 1. Thomas Mangani (Angers) converts the penalty with a left footed shot to the high centre of the goal. Penalty Angers. Flavien Tait draws a foul in the penalty area. Penalty conceded by Thilo Kehrer (Paris Saint Germain) after a foul in the penalty area. Attempt saved. Cheikh N'Doye (Angers) header from the centre of the box is saved in the bottom right corner. Assisted by Thomas Mangani with a cross. Goal! Paris Saint Germain 1, Angers 0. Edinson Cavani (Paris Saint Germain) right footed shot from the centre of the box to the bottom left corner. Attempt missed. Cheikh N'Doye (Angers) right footed shot from the right side of the box is high and wide to the right. Assisted by Angelo Fulgini following a fast break.